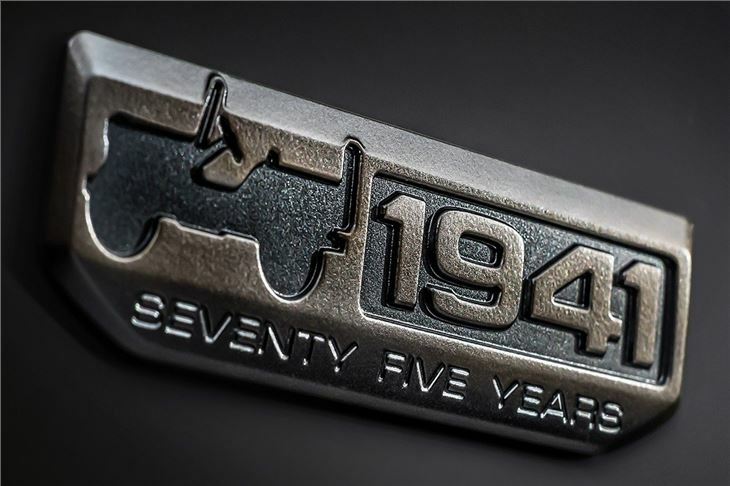 Jeep is celebrating its 75th anniversary with special edition variants. 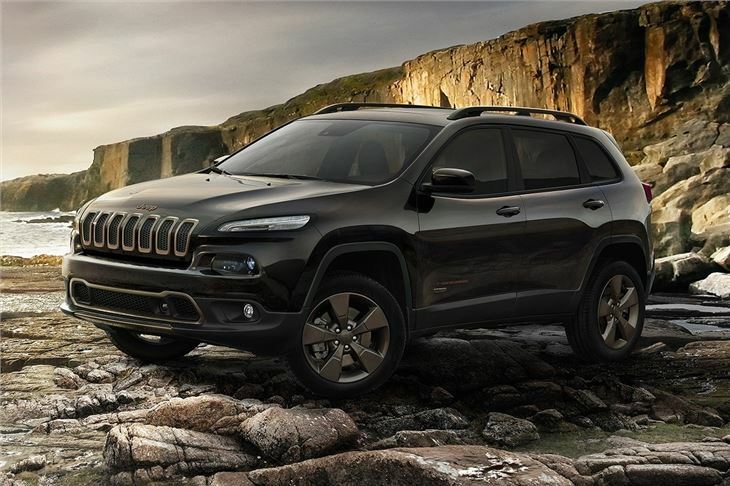 Initially special versions of the Cherokee and Renegade will be available, followed later by the Grand Cherokee and Wrangler later in 2016. 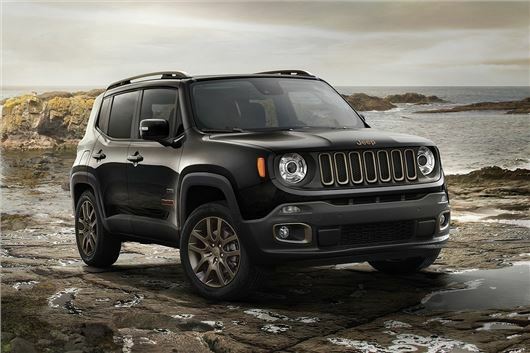 Prices start at £26,795 for the Renegade. The Renegade 75th Anniversary costs from £26,795 and is painted in Jungle Green. It’s powered by either a 1.4-litre 170PS petrol paired to a nine-speed automatic gearbox, or by a 2.0-litre 140PS diesel, paired with a choice of six-speed manual or nine-speed auto. Standard equipment includes 18-inch alloy wheels, a sunroof with removable panels and bronze exterior details. The Cherokee 75th Anniversary is painted in Recon Green and is powered by a 2.2-litre 200PS diesel engine with 4x4 and low range transmission. The seats are upholstered in Nappa leather, plus there is an 8.4-inch touchscreen, a heated steering wheel and a panoramic glass roof. It’s priced from £38,945. Wrangler 75th Anniversary models are finished in Sarge green and come with either a 2.8-litre 200PS diesel or a 3.6-litre 284PS petrol. Unique details include bronze exterior elements and Ombre Mesh leather seats, plus there is a navigation and premium sound system. Prices will be announced later in the year. 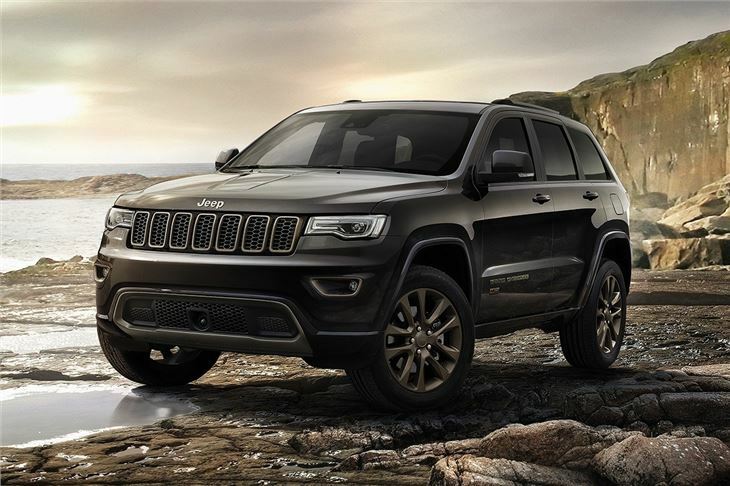 Finally, the Grand Cherokee 75th Anniversary is painted Recon Green and is available with a 3.0-litre 250PS petrol engine, paired to an eight-speed auto transmission. Standard equipment includes air suspension, adaptive cruise control, 20-inch alloy wheels and Nappa leather upholstery. 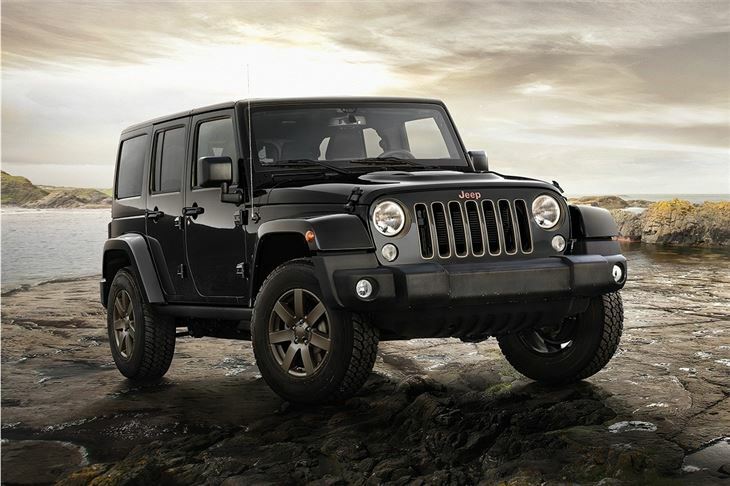 Like the Wrangler, prices are to be announced.